NAPSA is going in new directions under new direction. Positive was the direction during the presidency of Jim Larko, Katsam Enterprises, but Jim’s term came to an end at the annual meeting of the Board of Directors at NPE in January. NAPSA’s new president is Ken Lindsey, owner of Commercial Power Sweep Inc. in Napa, CA. Additionally, the board bid farewell to Carl Barton, Aardvark Sweeping Service in Memphis, and Ron Lichtenstein of Algonquin Sweeping and Striping of Walpole, MA. Both have served the board faithfully throughout their terms and their efforts should be applauded by the membership. The board also welcomed three new directors. First, the new contractor representatives are Latasha Crenshaw and Randy Hite. Latasha joins us from Atlanta where she owns AC Sweepers and Maintenance. Randy owns Piedmont Property Services in High Point, NC. Additionally, NAPSA welcomes Greg Heyer of Schwarze Industries as a newly elected Associate Director. Under Jim Larko, the organization saw growth in membership, as well as financial stability. Jim leaves his position having overseen the finalization of NAPSA’s “Why Sweep” video and brochure created as a tool for contractors to educate their customers regarding the value of sweeping. Through Jim’s leadership, the board provided several educational webinars to the membership and created the new online store which allows members to create items with their company logo and/or the NAPSA logo on items including shirts, coats and safety gear. In the past year, the board also undertook projects which are continuing to move forward, including launching an updated, higher-functioning website and a new driver’s certification program. Last year, the Benefits Committee added several new items offered to the NAPSA membership. All of these accomplishments are intended to provide value, offer education, and raise the profession of the power sweeping industry. Ken Lindsey continues this pattern of growth with his term by leading in additional directions. First, at the recent board of directors meeting, the board was treated to a presentation detailing the use of teams in organization versus committees. The term “committee,” as used by NAPSA, has required a yearlong commitment to projects or task forces. What was presented to the board was a simpler, less time-consuming option of project teams. These teams will be organized for specific projects with the expected obligation in most cases being no more than thirty days. Once the team finishes their project, the team is disbanded. For instance, NAPSA has a team in place to find a company to create the new website. This team collected bids for the work and selected the web design company based on criteria such as ease of use, ability to edit content, and functionality as well as price. Next, a new team will be developed to proceed with the actual development of the website. Not only does this allow for a smaller time commitment from team members, but it also allows NAPSA to tap into the knowledge of different members who may have expertise in different areas. Ken will also be tasked with driving the charge to better educate the EPA and other regulators regarding the trials and tribulations of sweeping contractors in an effort to loosen environmental regulations that continue to broadly stroke the sweeping industry and make it harder for contractors to do business throughout the U.S.
As you can see, NAPSA is in good hands and the group is directionally focused on the improvement of the industry and value to the NAPSA members. But the organization is only as good as its membership. The board of directors is asking for your help. Please consider offering your time and expertise to a team, or make a recommendation for improvements or changes. If you would like to participate on a NAPSA team or even just share your ideas, please feel free to contact myself or the NAPSA Headquarters at (888) 757-0130, (937) 424-3344 or by email at info@powersweeping.org. About the author: Gregg Blair is a valued member of the North American Power Sweeping Association (NAPSA) and is a consultant to the power sweeping industry. Greg can be reached at gblair1414@gmail.com. 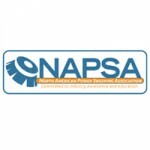 The North American Power Sweeping Association (NAPSA) is a nonprofit association made up of 300+ contract sweepers, service providers and sweeping equipment dealers, manufacturers and suppliers. NAPSA is dedicated to providing beneficial support to the membership and enhancing services to the sweeping industry.